Hot on the heels of its first dedicated mission via the Falcon 9 launch of the SSO-A mission late last year, Spaceflight is preparing for its first rideshare mission to Geostationary Transfer Orbit (GTO). The Falcon 9 launch of primary payload Nusantara Satu (PSN VI) – now set to launch from SLC-40 No Earlier Than (NET) Feb 21 – will include two passengers using Spaceflight’s rideshare option, which the company notes are part of its evolving offerings. The upcoming launch of SpaceX’s Falcon 9 rocket loft the Indonesian communications satellite, named Nusantara Satu (PSN VI), en route to its operational destination at 146 degrees East longitude. There it will provide service throughout South East Asia and includes a High Throughput Satellite (HTS) payload for service in Indonesia. Along for the ride will be two secondary passengers, under the stewardship of Spaceflight – rideshare and mission management provider. 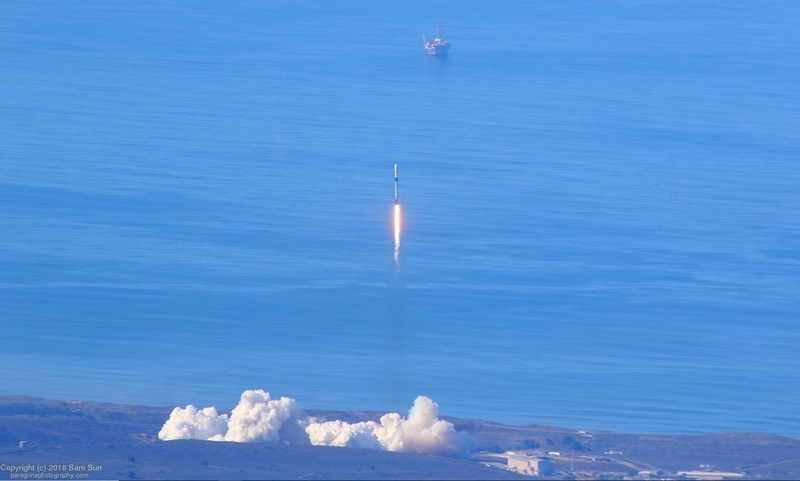 It follows a dedicated launch on a Falcon 9 when the SSO-A mission launched 64 unique smallsats from 34 organizations from 17 countries in December 2018 from Vandenberg Air Force Base in California. The two Spaceflight rideshare passengers on the upcoming mission are destined for two different orbits. 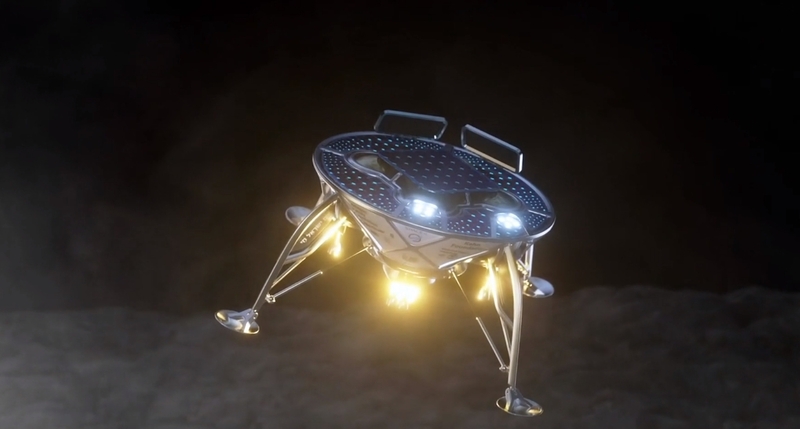 One payload has been known for some time, with SpaceIL’s four-legged lunar spacecraft, which was competing in the Google Lunar XPrize, set to be the smallest spacecraft to land on the Moon. Named Beresheet Hebrew for “in the beginning”), it will represent Israel’s first spacecraft and the world’s first privately funded spacecraft to reach the Moon. It will take a while to get to its lunar destination, first orbiting Earth, before gradually increasing its apogee until it can maneuver to be captured by the Moon’s gravity. It will travel to the Moon’s surface under its own power, a voyage taking nearly two months. Its mission is to transmit photos and video of its new home and conduct scientific measurements. Upon the mission’s completion, it will remain as a lunar time capsule commemorating this historic accomplishment. Information into the second spacecraft was released on Monday, with Spaceflight noting it will also launch the U.S. Air Force Research Lab’s (AFRL) experimental small satellite, S5. The AFRL spacecraft, built by Blue Canyon Technologies, will remain attached to the Nusantara Satu satellite as they continue their journey to Geostationary Orbit (GEO). Before the telecommunications satellite reaches its final GEO position, it will separate the S5 spacecraft which will then power on and start its mission. “This is an important mission for Spaceflight as we expand and evolve our customer offerings,” said Curt Blake, CEO of Spaceflight. “The launches we pursue continue to get more sophisticated and demonstrate that our expertise goes beyond identifying and scheduling launches. The launch date has moved slightly from its original target to February 21 (20:45 Eastern) – per the latest update on the Eastern Range. However, Spaceflight is only classing the launch date as No Earlier Than mid-February at this time, per its latest release on Monday. This mission marks Spaceflight’s inaugural launch of 2019 – and to date, the company has negotiated the launch of more than 200 satellites and has plans for approximately 10 missions in 2019 launching nearly 100 payloads.